Thank you, Chair and committee members, for the invitation to address you. The Bank of Canada has been asked to provide you with a briefing on “digital currencies.” It will be our pleasure to do so. I will start by giving an overview of recent innovations and developments in payments systems and the role of the Bank of Canada. Then, my colleague, Lukasz Pomorski, will provide you with more technical details about digital currencies and the needs they serve. Our briefing today is intended to offer some background on what e-money is and how it is evolving. While we will introduce some of the policy issues that the broad adoption of e-money could raise for the Bank, it is important to stress that our research in this area is a work in progress. The policy issues remain open questions. However, we would be pleased to return to this Committee at a later date and speak to the policy questions in more detail, once our work is further advanced. As anyone who has visited the Bank of Canada’s Currency Museum at our previous Wellington Street location will know, systems of payment evolve to meet the needs of the society they serve. Within this context, we can see that digital currencies or “e-money” and similar innovations, are part of a historical continuum. (i) It is a generally accepted medium of exchange - you can exchange Canadian dollars for a coffee or a sandwich, for example. And the person who sells you the coffee can use the money received to buy other goods. General acceptance is critical to the role money plays in society. (ii) Money serves as a unit of account. The dollar helps us to compare the value of different goods - the cost of a Tim Horton’s coffee compared with a Starbucks coffee, for example. (iii) And money can be used as a store of value. You can deposit your dollars in your bank account and be confident that, when you withdraw them, they will still have a similar value in terms of the goods and services that they can purchase. 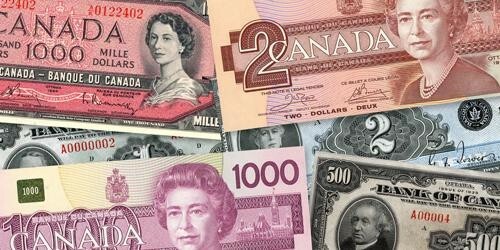 We are all very familiar with money in the traditional sense (coins and bank notes), and when we talk about Canadian dollars we usually have Canadian bank notes in mind. 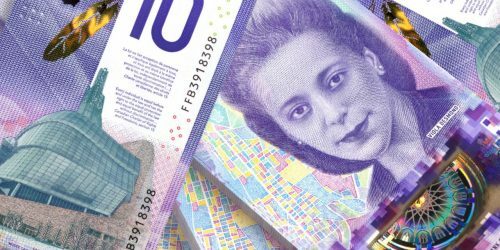 These notes, once paper and now polymer, remain popular among Canadians; the value of notes in circulation has been growing at more or less the same pace as the economy over the past two decades. So, despite a growth in electronic payments, cash is still important. Important, but not always convenient. Carrying bank notes to pay for purchases, especially for transactions that have a relatively large value - such as buying a refrigerator or a car - can be impractical. There is also the risk of loss or theft. Over the years, innovations in payments systems have addressed many of these problems. In the modern financial system, people typically store their money as deposits in commercial bank accounts. This money is denominated in state currencies and issued by regulated financial institutions through lending and the creation of demand deposits, that is, accounts that allow people to access their money “on demand.” Demand deposits are a medium of exchange and can be transferred from one account holder to another. Cheques were an early innovation that allowed such transfers. They save us the inconvenience of going to the bank to withdraw cash. Since the introduction of cheques, we have seen other technological innovations that allow the transfer of account balances between people and between people and businesses. These innovations include debit/ATM cards, phone banking, Internet banking and even mobile banking, all of which we refer to as “access devices:” they provide access to our demand accounts, but they are not money per se. I must also mention the innovation of the credit card, which we use to transfer funds from our credit account at a bank. Credit cards are access devices in that they provide access to lines of credit. For our discussion, we will refer to such access devices as “electronic payments,” or “e-payments.” We continue to see innovation in e-payments - for example, the recent introduction of contactless debit and credit cards. Such improvements are driven by the evolving needs and expectations of consumers and by advances in technology. Importantly, e-payments are the domain of banks and other deposit institutions that are subject to prudential regulation. From e-payments let me move now to the main topic of our presentation: e-money. In contrast to e-payments, e-money is actual monetary value that is stored in an electronic device - computer, mobile phone, tablet, chip card or a server (cloud). It has a monetary value in a state currency, often from an issuer that assumes liability for the value. In this way, e-money is different from e-payments that provide access to funds in a bank account. Lukasz will give you a more detailed analysis of what e-money is and what the main types of e-money are. E-money was developed and is growing for reasons related to both demand and supply factors. On the demand side, online commerce has created the need to be able to transact over “long distances” using telecommunications technology. While e-payments such as credit cards can and are used for online transactions, they have potential disadvantages - for example, inconvenience (e.g., the amount of information that needs to be shared every time a transaction occurs), high fees (e.g., on international remittances or the high fees paid by online merchants for accepting credit cards as a means of payment), and potential security risks. On the supply side, advances in technology, the growth of the Internet, and the adoption of mobile devices such as smartphones have provided many people with the means to be able to use new payment products offered by technology companies. We now have firms, such as PayPal, that allow users to pay over the Internet without giving personal financial information to the merchant. Moreover, e-money could also make payments more efficient and cheaper, especially across borders. While e-payments are facilitated by regulated financial institutions offering new ways for individuals and businesses to transfer money, e-money is often issued by unregulated institutions. These include new players in the payments landscape: telecommunications companies, information processors or even social networks. While banks still provide payment services, they often seek partnership with non-banks in providing innovative payment products such as mobile payments. How important are these innovations to the Canadian economy? A 2009 study conducted by the Bank of Canada showed that two particular innovations (contactless credit cards and stored-value cards) accounted for 3 per cent of the number of transactions and about 2 per cent of the dollar value of all transactions. This relatively small share may have increased over the past few years, and the Bank is currently updating this research. Moreover, the Canadian Payments Association (CPA) estimated that there were 24 million transactions of various e-money products in 2011, worth nearly $10 billion, up from $3 billion in 2008.1 These figures likely capture only a subset of all e-money transactions as the CPA tracked only e-wallet products and peer-to-peer transactions. Over the same period, the annual growth rate of these types of payments in terms of volume has averaged close to 40 per cent. Despite this growth, there are relatively fewer e-money products in Canada than in some other countries. Some of you may remember Mondex, a stored-value card that appeared in the mid-1990s but failed to find a competitive niche. This suggests that Canadians are well served by existing methods of payment, and e-payment systems in particular. In contrast, consumers in countries with retail payment systems that are not as well developed need to seek alternative methods of payment, leading to e-money innovations such as the mobile payment system M-Pesa in Africa or multi-purpose prepaid payment cards such as the Octopus card in Hong Kong. E-money addresses important consumer needs, but it also raises potential risks and challenges. At present, such risks have the largest impact on individual consumers and businesses, rather than on Canada’s financial system and the overall economy. The most significant risk posed by e-money is probably inadequate user protection. This could include insufficient or inadequate information about a new payment-service provider, especially about terms and conditions, fees or dispute-settlement procedures. Moreover, users may not fully appreciate potential privacy issues, since some e-money providers have business models that depend on advertising revenue derived from sharing personal information about users. Other e-money developments provide relative anonymity, which entails additional risks such as money laundering and terrorist financing. I believe that our colleagues from the Department of Finance, who have already appeared before this Committee, have discussed these aspects of e-money in more detail. The Bank of Canada has several reasons to be interested in developments in e-money. The Bank designs, produces and distributes Canada's bank notes. One potential impact of recent developments in e-money is that they may lead to changes in the demand for cash. At present, there are about $63 billion of notes in circulation, and the Bank invests the proceeds from issuing these notes into Government of Canada bonds. These bonds are held on the Bank’s balance sheet and generate seigniorage revenue. This revenue is used to pay the Bank’s expenses, with the balance remitted to the federal government. In 2013, this revenue was roughly $1.6 billion, with a remittance to the government of about $1 billion. 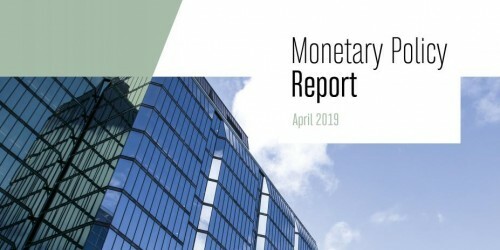 Furthermore, the financial assets on the Bank’s balance sheet help support the Bank’s various mandates, including its monetary policy and financial stability functions. A substantial decrease in the demand for cash would mean smaller holdings of financial assets, which would, in turn, lead to reduced revenue for both the Bank and the federal government. Furthermore, the lower level of financial assets held on the balance sheet might have other effects on the Bank’s ability to do the work we do. Given that the demand for cash has been relatively stable over the past few decades, however, at present these risks are just theoretical. The Bank also has an interest in promoting the safety and efficiency of the payments system. We work with other authorities in this area and, given the Bank’s responsibilities under the Payment Clearing and Settlement Act, we are collaborating with the Department of Finance to conduct a governance review of the payments system. This work addresses the oversight and governance of the national payment clearing and settlement infrastructure, including alternative payment technologies. Should the central bank have a role as an issuer or operator of e-money? Could the broad adoption of e-money pose financial stability concerns? If so, how could those best be mitigated? What is the appropriate regulatory framework for e-money? Could greater reliance on e-money have implications for monetary policy? It is important to stress that this research agenda is a work in progress, and the policy issues I raised remain open questions. Given the public interest and the importance of the topic, the Bank intends to share its research with the public through a new section on our website dedicated to this subject. I’ll now turn it over to Lukasz for a more in-depth explanation of the nuances of e-money. Let me start by saying that e-money is hard to define. There are multiple terms that are often used interchangeably: digital currency, virtual currency, e-cash, etc. Different people may use these terms with different meanings. I will also discuss if, and how, e-money meets the three criteria of money as a medium of exchange, a unit of account and a store of value. As Grahame explained, e-money is monetary value stored in an electronic device (computer, mobile phone, tablet, chip card) or on a server (cloud). Within this definition, we can divide e-money into two categories: centralized (that is, issued and often managed by a central issuer that assumes e-money as its liability) and decentralized (that is, based on a dispersed network of users, with no one user recognizing e-money as its liability). We will begin with centralized e-money. Centralized e-money is monetary value stored on an electronic device issued upon a receipt of funds and accepted as a means of payment by entities other than the issuer. This definition is used by a variety of institutions - for example, the European Central Bank or the Bank for International Settlements. The critical feature of centralized e-money is that it has a particular issuer who assumes liability for the value. For example, consider pre-loaded payment cards, issued by Visa and MasterCard (not credit cards). The customer can use the card for goods or services provided directly by the issuer, The customer can also use the card for goods and services provided by a third party who will be reimbursed by the issuer. Lastly, the customer might also be able to take the card and redeem it, perhaps at an ATM, for the cash value, which would then be reimbursed to the bank by the issuer. Another important element of e-money is that it is multi-purpose, unlike prepaid cards that can be used for only one specific store or coffee shop. One example is the Octopus card in Hong Kong. It is a contactless prepaid card originally issued to pay for rides on Hong Kong’s mass transit system. Over time, the Octopus card has become more generally accepted by retailers, and people now use it for other purchases, not just transit. The value is prepaid and stored on the card, becoming a liability of the issuer, and can be used to make payments at a wide range of retail and transport establishments, satisfying the multi-purpose criterion. This is different from the Presto card used for transportation in several Ontario municipalities. At present, its acceptance is limited to the mass transit system. It is not generally accepted elsewhere and therefore does not meet the definition of e-money. When we compare the Presto card with the Octopus, we see how Canada’s well-developed e-payment systems may be inhibiting the widespread adoption of the Presto card outside the transportation system. In Hong Kong, since the 2000s consumers have been using the Octopus card for transport and also to make small retail transactions. In Canada, contactless debit and credit cards have already filled this niche. When people talk about centralized e-money, they sometimes mention “currencies” issued by Internet companies such as Facebook or Amazon, or within computer game platforms such as World of Warcraft. These currencies are centralized in the sense that they are controlled by a particular firm or institution. They do not, however, qualify as e-money. 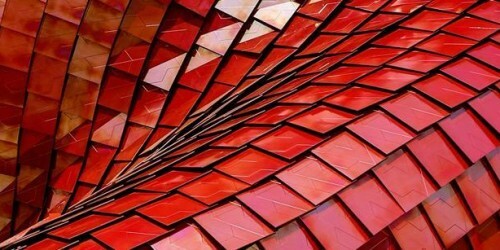 The key reason is that they are intended to be used exclusively within the platform that created them. This means they are not “generally accepted” by undertakings other than the issuer. Now I will discuss decentralized e-money which functions very differently from centralized e-money. The main difference is that there is no formal issuer - no central bank, financial institution or commercial Internet platform. E-money is decentralized over a peer-to-peer computer network that directly links users and in which no one user controls the network, much like chat rooms. One example of decentralized money is Bitcoin, launched in 2009. Since the launch of Bitcoin about two hundred other such e-money currencies, called “cryptocurrencies,” have been created, many over the past few months. Some have already been discontinued. As the best-known example of decentralized e-money, I will describe Bitcoin, and then I will discuss its similarities and differences from other cryptocurrencies. Until the creation of Bitcoin, decentralized e-money was a theoretical problem that many technology experts considered unsolvable because of the issue of double spending. Let me give you an example. Suppose we develop an electronic currency that I then try to transfer to Grahame. Grahame will first need to verify that the electronic record I am sending him is authentic. This step is relatively straightforward, and there are well-established IT techniques to do that. It is like checking if a bank note you receive is counterfeit or not. Problems arise when I try to convince Grahame that I have not yet spent the currency I am sending to him: how do I prove that I have not sent it to somebody else first? This is not a problem for bank notes, because once you spend them, they are gone. You cannot spend them twice. Nor is this a problem with centralized e-money, because there is an issuer. There is a trusted third party with information technology that will keep a centralized ledger of who holds how much currency and that has tools to update the ledger after each transaction. With Bitcoin, the ledger is shared within a network of users who, because of cryptographic tools, trust its validity despite the absence of a trusted third party. This was a major innovation in information technology. It means that there is no one issuer of bitcoins, and bitcoins are not a liability of any particular party and are not redeemable. Because Bitcoin uses cryptographic tools to achieve this, it is often called a cryptocurrency. There is a great deal more to learn about the technical aspects of Bitcoin and the cryptographic tools it uses. We understand you will be hearing from an expert in information systems engineering who will be better able to provide you with this information. Instead, we will focus on the questions within our own field of expertise, starting with whether Bitcoin (and, by extension, similar cryptocurrencies) are money. In particular, we’ll discuss how innovations such as Bitcoin might contribute to improving the efficiency of our payments system, while raising some issues for policy-makers. Does Decentralized E-money Perform the Functions of “Money”? As we saw in the discussion of centralized e-money, there are some cases where it meets the criteria of “money” - as a medium of exchange, a unit of account, and a store of value. So how does decentralized e-money such as Bitcoin hold up? We would argue that bitcoins and other cryptocurrencies fall short of the definition of money, at least so far. First, for Bitcoin to be money, it would need to be a generally accepted medium of exchange. In that area, there is potential. We see that the Bitcoin network allows and facilitates transfers of bitcoins between users. And there is a growing group of retailers, some of them global, that allow purchases in bitcoins. Our search of Bitcoin-related websites indicates that there are perhaps up to one hundred merchants in Canada that accept bitcoins. Worldwide, on-line sources estimate that Bitcoin can be used to buy about 15,000 goods and services. While these numbers are likely growing, they are not quite large enough to convince most people that Bitcoin is at present “generally accepted” as a medium of exchange. In terms of unit of account, Bitcoin may have some potential, but it is not quite there. Even in those cases where Bitcoin is a means of exchange, the underlying value of the transactions always seems to be in terms of national currencies such as the U.S. or Canadian dollar. Such value is then translated into Bitcoin for the purposes of the transaction. This is also true of most merchants that market themselves as accepting payments in bitcoins. In practice, such merchants rarely receive the cryptocurrency. Instead, they contract with third parties that exchange the bitcoins into national currencies at the moment of the transaction. An example of a company that offers such services is BitPay, an Atlanta-based firm that provides the merchant with the option of accepting bitcoins, but also of receiving the equivalent payment in a state currency via a bank transfer from BitPay. Finally, when it comes to serving as a store of value, here again, we would argue that Bitcoin falls short. The key reason is the variability of prices in terms of national currencies or in terms of goods and services. For example, a recent report has estimated Bitcoin’s volatility to be at 108 per cent per year, almost 40 times higher than the volatility of the real value of the U.S. dollar (measured as the volatility of CPI inflation). To illustrate this, consider that Bitcoin traded at one-third of a cent (US$0.003) per bitcoin in 2010, reached a high of over $1,200 last December, and now trades at around $560. Imagine you are receiving Bitcoin for the goods or services you provided without knowing how much your bitcoins will be worth in a few days or in a few weeks. A typical merchant is unlikely to be willing to accept a “medium of exchange” that is so volatile in value. An oft-quoted anecdote concerns an unfortunate person who used 10,000 bitcoins, which were worth about $30 at that time, to buy two pizzas in 2010. Today, the 10,000 bitcoins would translate into $5.6 million, making those pizzas overpriced in the extreme. This volatility means that consumers who want to store value in Bitcoin are exposing themselves to a great deal of risk that their savings could evaporate in a relatively short period of time. Some argue that cryptocurrencies such as Bitcoin are better characterized as a speculative investment than as reliable stores of value that warrant the designation “money.” In fact, some experts and regulators (e.g., Bank of England, Bank of Finland) suggest that Bitcoin is more like a commodity than a currency. The price volatility of cryptocurrencies signals an important difference between them and the state currencies issued by central banks. Many cryptocurrencies have delegated the management of the money supply to an algorithm. For example, in the case of Bitcoin, the money supply is growing at a pre-specified rate and will eventually be constant. This fixed supply may be at least partly responsible for the variation in prices. In contrast, one of the key roles of central banks is to maintain price stability in terms of state currencies, and specifically to prevent price volatility of the kind we observe in Bitcoin. One of the tools central banks have to achieve that goal is by changing the supply of state currencies. This would not be possible for Bitcoin, a feature that is perhaps attractive for some Bitcoin users. It does, however, have the negative consequence of contributing to price volatility. This volatility makes it difficult for Bitcoin to be a reliable store of value and, consequently, a generally adopted currency. What Economic Needs Do Cryptocurrencies Satisfy? So, if cryptocurrencies do not meet our definitions of money, what economic needs do they meet? First, they can reduce the costs of financial intermediation. Because they are decentralized, cryptocurrencies sidestep the sometimes considerable costs of facilitating and processing electronic payments. Such mediation is expensive - often too high for smaller-value payments to be processed, which effectively limits the scope of e-commerce to higher value transactions. Another related feature of cryptocurrencies that some might consider positive is irreversibility of payments. This makes the cryptocurrency more like cash and allows merchants to accept payments for transactions without the risk that they will be subsequently reversed. These two features (avoiding potentially costly intermediation and enforcing irreversibility of payments) could allow cryptocurrencies such as Bitcoin to serve an important niche in the digital economy, especially for micropayments - for example, payments for individual songs or pictures. Such payments are too low to warrant a merchant investing in payments infrastructure or to justify fees from existing instruments such as credit cards. Finally, another feature of Bitcoin that is attractive to at least some consumers is the high degree of privacy (or “pseudonymity” to be precise). Transactions in Bitcoin are publicly available, but do not reveal the transactor’s true identity. Again, this feature was meant to make Bitcoin more like cash and to cater to consumers who value their privacy. However, as with cash, there are disadvantages to the anonymity and irreversibility of transactions. As we have seen, bitcoins can be stolen or defrauded from their owners. Moreover, the novel features of Bitcoin make it attractive to people interested in trading illicit substances or potential money laundering, especially through the Internet, as our colleagues from the Department of Finance may already have told you. As I said, Bitcoin is the cryptocurrency everyone has heard of, but there are many more. Some of them have different features that try to improve perceived shortcomings, while others simply copy the original formula under a different name. I will give you a few examples. One such cryptocurrency, Litecoin, was developed in 2011, largely based on Bitcoin’s specifications. Some changes were introduced to try to improve the speed of transaction confirmation (settlement), and the size of the total money supply was increased fourfold compared with Bitcoin. At present, Litecoin is the second most popular cryptocurrency in terms of market capitalization. A perhaps more interesting example is Peercoin. This cryptocurrency is much less popular than bitcoins or litecoins, but it offers some distinctive new features. First, there is no hard limit on the total number of peercoins. Instead, the “money supply” will increase by 1 per cent per year. Second, the newly minted peercoins are partly awarded to users who do some particular tasks within the system (much as in Bitcoin or Litecoin), but also to existing holders of peercoins. Roughly speaking, if you hold 1 per cent of existing peercoins, your stake entitles you to 1 per cent of newly minted peercoins. You may perhaps think of this as a dividend accruing to existing stakeholders. Finally, another cryptocurrency, called “the Ripple,” is a good example of how quickly e-money is developing and how fluid the concepts and definitions are. The Ripple is based on technology similar to Bitcoin, and thus is often referred to as a cryptocurrency. However, it is controlled by a third party, Ripple Labs which issues the currency (in Bitcoin parlance, the Ripple is “pre-mined”). Importantly, Ripple Labs refers to the Ripple as a “payment system, currency exchange and remittance network” rather than “money” as in a generally accepted means of payment. This payment system is meant to allow users to trade a range of currencies, including other cryptocurrencies, remit money, etc., making it more of an e-payment system than e-money, strictly speaking. Beyond these few cryptocurrencies, there are perhaps two hundred others. Most of them have a relatively small consumer base, and a few are all but defunct after a brief spike of interest. In closing, a discussion of e-money must take a balanced view of the weakness or potential risks of these innovations and their economic benefits. These benefits arise from the payment needs that e-money satisfies. As long as the needs are there, even if Bitcoin or similar cryptocurrencies ultimately fail, other payment innovations will arise to replace them. History has shown us that changing consumer needs will be reflected by innovations in payment systems. Such innovations may well be based on the technology similar to that underlying Bitcoin. They may be implemented not only in a decentralized fashion, but perhaps also incorporated into products and services offered by private sector firms or even governments. The payments landscape is changing rapidly in Canada and around the world, with a number of innovations, participants and systems. At the Bank of Canada, we cannot predict the exact direction these innovations will take. We can, however, assure the Committee that we will continue to monitor developments and assess their implications. We will share our findings with Canadians through publications on our website. 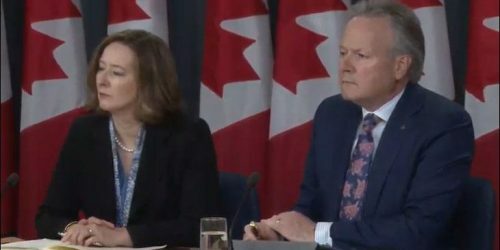 On 2 April, 2014, the Bank of Canada presented an educational session on e-money to the Senate of Canada’s Standing Committee on Banking, Trade and Commerce. The session highlighted recent innovations in Canada’s payments system and the economic needs that these innovations satisfy.